Diwali is one of the joyful festivals of our nation; it signifies the victory of light over gloom and good over sin. It is the time when one decorates their home with Diyas, Electric lights and various other decorating materials. As we know, Diwali is on the cards here are some of the unique and exciting ideas to decorate your home. Use them up to give your home the beautiful and artsy gaze. Give an ordinary earthen lamp a beautiful and unique look by using different paint colors and glitters. The floating candle theme is an everlasting and most preferred decoration idea for Diwali. Fill a bowl with water and stick a few colored and shaped floating candles in it. You can make it interesting by using some decorative items such as flowers or pebbles, or you can add some color to the water. Make a glittering Diwali lamp by using old empty wine bottles by putting multicolored string lights in wine bottles and give your home the most exciting and unique look to charm your guests this Diwali. Best and unique concept for Diwali decoration is to make a lamp using beads. 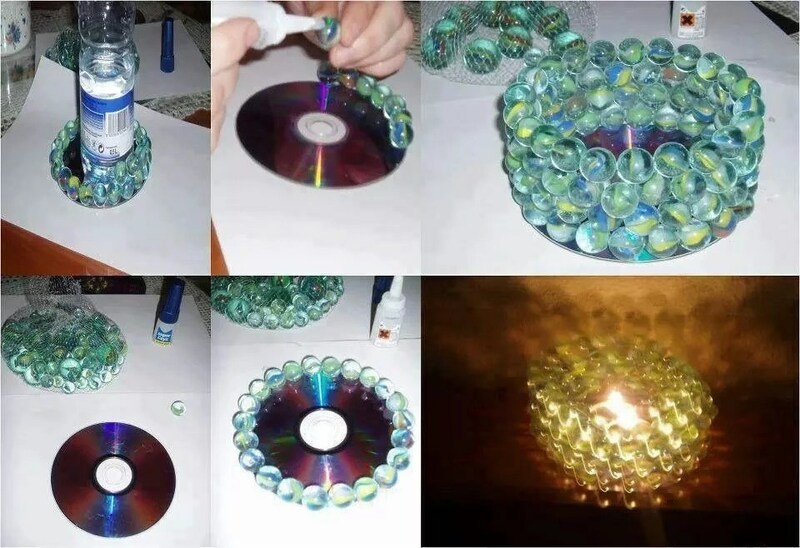 Just stick beads on waste Compact Disk and make a circle one over other to give a shape like a pen stand and after that put a Diwali glittering lamp amid the circle and let sparkle the whole room. Decorate your house with wall hangings made by used items like bangles, empty matchbox and many other things which you don’t want to use anymore. Decorate them with crepe paper mirrors and beads to give an attractive look. This is the perfect idea to decorate the living room during Diwali. Make beautiful lanterns by using balloons, twines and glue. Where to head to shop for your Bridal Lehenga in Delhi?